Visit Father Christmas in his grotto, enjoy some elfish entertainment and see the city’s twinkling lights for the first time, at this year’s Christmas Switch On, taking place on Thursday 15 November. Fresh from this year’s Britain’s Got Talent final, Norfolk based father-and-son duo Jack and Tim will be turning on the city’s Christmas lights. The singer-songwriters sailed through the ITV competition after Simon Cowell gave them his ‘golden buzzer’ at their first audition, and had their first taste of public performances busking in Norwich city centre. The fun will begin at 6pm with entertainment at City Hall featuring a dazzling fire show and festive performances from the cast of Elf, a gospel choir and local dance school. There will also be a variety of acts popping up around the city. A colourful parade will be setting off at 6.15pm from outside the Theatre Royal accompanied by a festive band and will make its way to Santa’s grotto, where children will be able to give Santa their Christmas letters. For one night only, the city’s Undercroft, located below the War Memorial, will be transformed into a magical grotto. 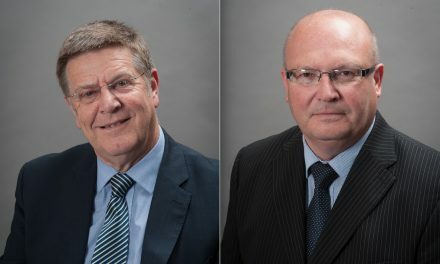 Back at City Hall, at 7pm, our special guests, Jack and Tim, will be switching on the lights throughout the city, including Norwich BID’s much loved Tunnel of Light. This year, there will also be an opportunity for children with autism and additional needs to meet Father Christmas in a calm and quiet environment between 4pm and 5pm. Book a visit by emailing events@norwich.gov.uk or calling 01603 212871. 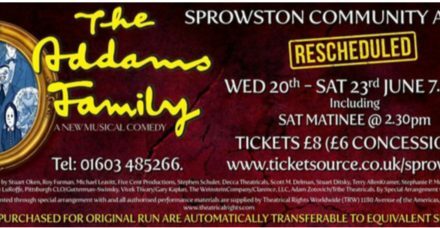 ‘The ‘Snow’ Must Go On’ – The Addams Family will come to Sprowston!